Will the enthusiasm of Rheumatoid Arthritis patients be short-lived? Reactions have varied to the new diagnosis guidelines which the American College of Rheumatology (ACR) released this week for Rheumatoid Arthritis. Is it good news for RA’ers? People who have Rheumatoid Arthritis often feel such a need for change that any news is good news. But I am only cautiously optimistic. What bothers me about the new RA diagnostic criteria? First, how will the doctors define “joint involvement”? If they will continue to use the same methods used since 1987, patients may not fare better. One doctor’s opinion of “involved” may not be the same as another. Will redness and swelling be required? Or are pain, weakness, stiffness, and disability sufficient? Will the patient’s report of joint involvement suffice? Or will the doctor’s ability to manually manipulate a joint in an office setting call the joint “functional”? Second, the ACR portrays the new guidelines as a move to de-emphasize serology. I do not see how this can be so. 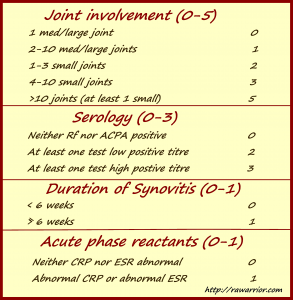 Between the Rf/anti-CCP “Serology” result and the ESR/CRP “Acute phase reactants” result, a possible four out of six total points required can be acquired by blood work alone. That is 66% of a positive result. And, conversely, it would be very difficult to reach a score of 6 without positive blood tests. More than 10 joints would have to be sufficiently “involved” before a diagnosis could be obtained. As many as 37% of RA patients have “normal” blood tests all of the time. As far as I can tell, a committee of rheumatologists developed the new guidelines over the last couple of years. They have included categories which are effective for classification from their viewpoint. They have removed items from the previous set of guidelines which are symptoms that are not verifiable in a clinical setting, such as fatigue, frequent fevers, and morning stiffness, which can only be confirmed by patients. As a person living with Rheumatoid Arthritis, my viewpoint is clearly distinct from theirs. My Idea: what would I add to the new guidelines? First, there is tension between over-diagnosis and under-diagnosis. Under-diagnosis of Rheumatoid Arthritis can have obvious devastating consequences. But, over-diagnosis could mean exposing a person to un-necessary risk of DMARD treatment. Second, there is the question of medical “practice.” Different doctors can use the same guidelines and obtain different results because they interpret both the evidence and the guidelines in diverse ways. Soon we’ll examine the ACR’s proposal for doctors’ use of the new guidelines in practice, called a decision tree. These are my initial impressions based upon what the ACR has made available to the public. I will remain cautiously optimistic because the ACR has said that they hope to improve Rheumatoid Arthritis diagnosis with their new guidelines. I too hope that diagnosis of RA can be accomplished earlier, with more accuracy. In my time of having RA, I have often been frustrated by the inconsistencies of my own symptoms. But the one thing that has been the most frustrating is the joint involvement and the range of motion/weakness tests. The truth is, I CAN do most of what I am asked to do in a Dr’s office, but that doesn’t mean I should. Just because I can push through the pain and get my arm over my head a couple of times doesn’t lessen the pain or the stiffness, and it doesn’t mean I can do it all day long. Just because I CAN force my hand into a tight fist, doesn’t mean that I should and it doesn’t mean that it doesn’t hurt like living hell to do it. Being able to arm wrestle your Dr shouldn’t be a deciding factor on whether or not you have RA. Being able to force yourself to go past your limits a few times in the Drs Office isn’t a real test of what you are able to do through out the rest of the day, and in my case what I will be able to do tomorrow. So I find myself often times, doing the lame duck thing because I’m really scared that if the dr thinks I’m doing better one day that I am doing better all days. This testing chart makes me wonder if when I don’t meet those criteria on any given day, will that mean I don’t have RA anymore. Thank you for taking time to explain that to people so clearly! If it makes you feel better, your experience matches mine AND I hear the same thing every day from others! 1) It is utterly ridiculous to have to prove that a joint is involved. 2) Often, after an exam, people tell me they cannot move the next day due to the roughness of the exam! I’m always hurt by the exam when there IS an exam. I also am confused about how they decide which joints are involved. My wrists burn and ache, but I have full range of motion. Swelling is only slight and not noticeable to others. So does the doctor go on my word or on what he see’s or not see’s? I did not know FLUSHING was a symptom! I have it everyday. I think you see the problem clearly. Flushing is in some historical references and I hear it reported often. I had it for 6 months until firmly established on DMARDs. However, it is only mentioned rarely in modern studies / literature. Don’t know why. The elimination of bone erosion (as evidenced via imaging) from the criteria is interesting. That was the main reason I got put on DMARDS immediately. Yet, I was seronegative at the time. Maybe joint involvement includes erosion. But I’m not sure I would’ve reached 10 joints at the time (although I’m way over that now!). The new criteria seem to be a shifting of emphases. It may help some but not others. And fatigue, coupled with symmetrical symptoms (finger PIP joints, ankles, and eyes) was the main reason my general doc first referred me (even without positive blood tests). 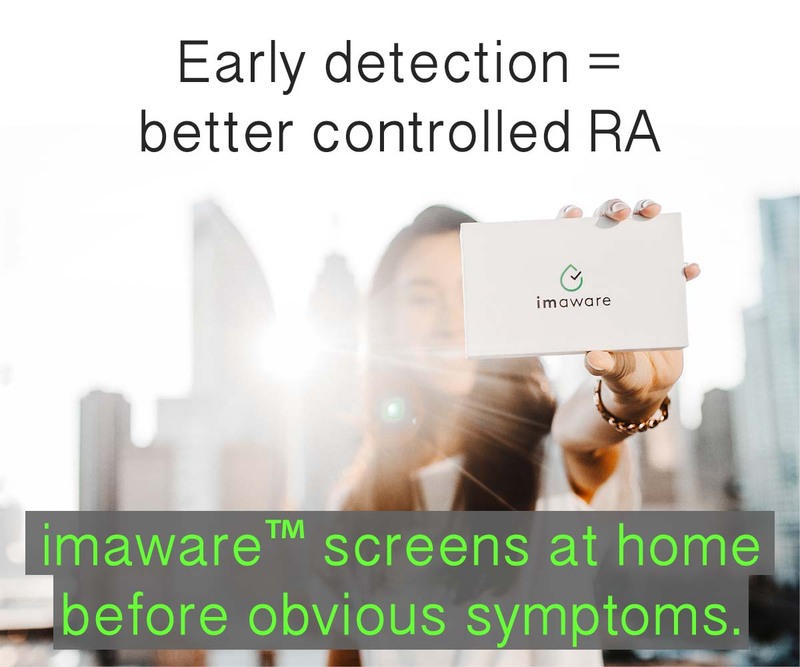 Good doctors know RA when they see it (regardless of the ACR criteria). The problem is with insurance companies requiring meeting of criteria in order to cover treatments. Thank you Kelly. I feel like I will be much more equipped to ask questions when I go to my next RA doc.appt. Last two appts. I felt like I just sat there with my jaw opened and nodded my head. It is overwhelming at first. Sooooooo… If I can’t “prove” to the doctor or the insurance company that I have extensive pain, fatigue, and morning stiffness, then the doctor and/or insurance company can make a “determination” that I don’t have RA. Well then, the least they can do is tell me how I can join them in their delusion. Because I’d much rather not have RA than have to live with this pain, fatigue, and joint damage. Wow, these comments are really making me depressed. I’ve had symptoms for 11 months and am three weeks away from my first appt (finally!) with an RA and I was hoping the diagnosis would be the quick and easy part. Let me know if I can help you find any info. There is a “newly diagnosed” category here. Wow! I like the idea of including your list in the diagnosis. Patient input is extremely important. Doctors who listen should be the rule, not the exception. Some insurance companies will allow changes of doctors if a patient feels they are not being well cared for. Three months before diagnosis, I had 7 of the 10 symptons, but blood work okay and doc and I thought that osteo. and fibro., which were already bad, were just giving me an extremely hard time and he gave me meds for it. Three months later I had 8 of the 10 symptoms plus out of sight blood work readings. He prescribed metho. and steriods to help get the inflamation down while waiting for an appointment with my rheumy. Thank God for him and for my rheumy. No one should have to suffer for years without treatment and/or diagnosis. 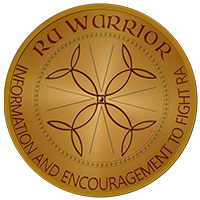 I mave thought I have RA twice in my life, have not been diagnosed with it & fear non-reversible damage. When I have other health problem – I have a huge problem with abdominal adhesions from a problem pregnancy – my RA-type symptoms disappear. I have, or had, very high pain tolerance but get knocked out of any activity beyond breathing when the pain ravages my hands, wrists (the worst) and sometimes ankles/feet. A rheumatologist said it’s not RA because hands were not swollen (they were, but he doesn’t know I normally have scrawny hands)and atomic test showed no inflammation + blood tests came back negative. Guess what? He told me to get them done even though I pointed out that I was not having a flare-up that week! Also once when I saw him he said that once there was Rh factor in blood, but on following appointments he said I don’t have RA. The first joint I had trouble with – okay, destroyed my life – were my knees, in my mid 20s. After that subsided & I decided I was nuts my hands & wrists became my enemies in my 30s. The fatigue was not merely a result of the pain, despite what drs. told me. It was it’s own symptom and so bad I could have slept in the middle of a freeway (but the pain prevented sleep of course). I’m sure my mother had it, but she refused to go to the drs,mostly because she was a smoker and hated to hear that lecture. She dropped dead at 59 from a brain aneurisym. Also, my hands become cold more than hot and terribly weak, so perhaps gosh-darn doctors are correct. this is so frustrating Laura. I hate to say it but diagosis is only the first battle. you could still encounter such responses as you seek treatment alnong the way even after a diagnosis. Many do. not to beat a dead horse, but we need change. Thank you so much for your response. I have since gone to my general practioner who has not recieved the notes back from the new rheumy i just saw. However she did read the results from the knee xrays that showed inflammation and arthritis. I also have recently been seen by a ear nose and throat specialist due to pain in my throat neck and ears and repeatative infections. The specialist noted that I have acute dryness of the larnyx due to RA. At this time my general practioner is looking for a different rheumy to refer me to. I am just so frustrated that it took so long to diagnose me and now after 9 years of diagnosis and confirmed blood tests a new rheumy says i dont have RA_ WHAT DO I HAVE THEN?? ?- The new rheumy did not set up a follow up visit!!! Hmm, this article makes me wonder if I should make another appt with the doc or not. I’ve been having joint pains in wrists, and fingers, for over a year. Also some scaly circular rashes (psoriasis? no family history, and now they’re gone..? ), and acid reflux. I wasn’t having the rashes when I went to the doc, so he’s never seen them. All my blood work was perfectly normal, but I wasn’t flaring up then. Now I don’t know what to do! I’m sorry you all have to deal with this too. I have been learning everything I can about symptoms and score 9 based on the 2009 criteria. 10 or more joints. Mostly in hands and feet and wrists and ankles. Morning stiffness for greater than one hour. Some days my hands and wrists do not work very well at all. Rf of 243. My crp and esr were high normal probably due to Advil. In retrospect I’ve had flares since I was 19, now 47. They have waxed and waned in severity. The flares in the last 20 months have been the worst. The fatigue is killer and I a self employed mother of two teens. My GP wrote what I consider to be a weak referral to rheum. Earliest appt is in November. In the meantime, I found out X-rays show an old fracture in c7 and MRI is scheduled for tomorrow evening. And my finger joints are becoming deformed. I don’t mean to be a whiner or hypochondriac but I need treatment. Can anyone recommend a sympathetic GP in Oklahoma City area and good rheum? I realize it takes time and there are people with more serious AI issues than me but this is threatening my livelihood and joints? Is that catastrophizing? If so, I am guilty. C-Reactive Protien 84.3, RF 23, Nuclear ab positive titre 80, Cyclic Citrullinated Peptide <300. All joints affected symmetrically and Secondary Sjogren's. Yet, because of this label fair Pharmicare ,a federal program, my doctors must follow established protocol in medication and testing. My personal critical illness insurance will pay out for MS but not RA. 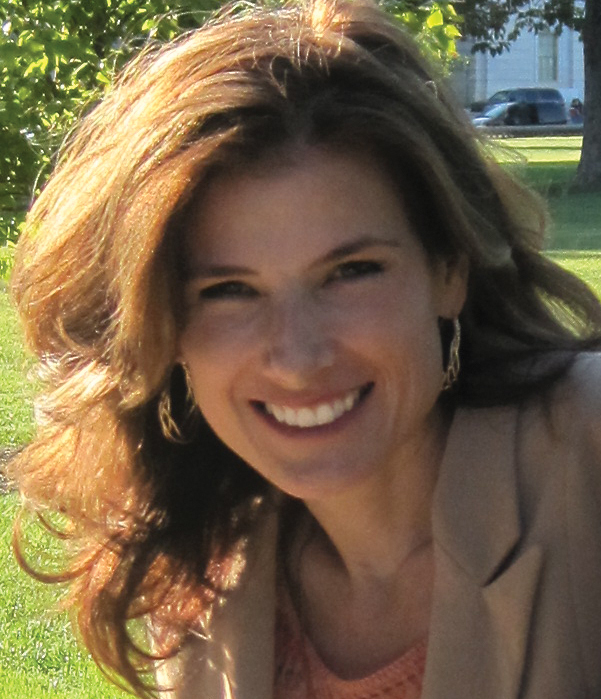 Thanks to sites like this one Kelly, I have been able to gather information related to Rheumatic Disease. One thing I would add to the list is about the presence of common co-morbidities. We should “earn a point” for already having been diagnosed with Hashimoto’s or Sjogren’s or Celiac or another autoimmune condition. Maybe even an extra point for having more than one. I have seronegative RA. Suspected in 2011, diagnosed in 2012. I have issues with fingers, hands, wrists, ankles, toes, feet at my toes, sometimes knees, shoulder, and most recently my sternoclavicular joints. I have taken years to find some good responses from doctors and they have gotten me off medications that were not working and I am on medications that are working better. What I do not understand is this response of “Oh, no that is not RA.” Like the PIP joint, or my rib cage, mid-foot etc. I have gotten rid of most of my shoes because if they press at all on my toes, or bend my toes…the pain is not worth wearing them. Stubbing a toe, bumping a finger, brushing the side of my foot on something can cause pain as if I have broken it. I have all the symptoms of Sjogrens. I have severe pain in my hands and I am loosing strength what feels like daily. The doctor shakes his head and says not sure why I have such pain, or why they are so weak. Makes you wonder if you are a weird unusual case or what. I also wish sometimes they would take tests that would show soft tissue issues instead of just x-rays. How can I look somewhat normal and be so not normal? How can one day get around pretty well, and the next be hobbling to move? Way can I one day lift a 1/2 gallon of milk (however briefly) and the next day almost drop a plastic glass because it feels heavy. Why can how I feel change from day to day, sometimes during the same day? I believe a lot of people and some doctors assume if your hands are not deformed you are not having serious issues with this disease. It affects me, my personality, my marriage, my family, my grandkids, friendships, work…etc basically every aspect of your life.